The Force GDI is our first ECU built specially to control four cylinder Gasoline Direct Injection engines. 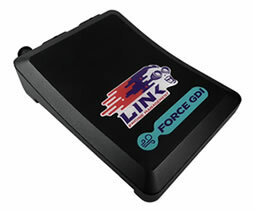 As well as full GDI control, the Link Force GDI ECU offers on-board digital wideband, E-throttle control, high voltage injector and high pressure fuel pump management, plus all the other features you have come to expect from one of Link's world leading engine control units. The Force GDI is running on our proven Link G4+ platform, so you know it is going to work right out of the box.